This could be a revolution in the Phone Industry..However positive or negative. The Tech world keep pushing its edges beyond the usual, each product is designed to trigger an ‘Awe’ feeling in every user. This time, it’s about to introduce new series of foldable phones, with two full screens. This will be huge. Just recently, ZTE set the pace for dual screen phones when it announced it’s Dual Screen Foldable Smartphone; AXON M. And guess who was inspired by that move, SAMSUNG, HUAWEI , OPPO and even LG. Report has it that these Phone Companies are actively working on production of Foldable Phones, which in fact, may hit the market before the year runs out. Amazing! 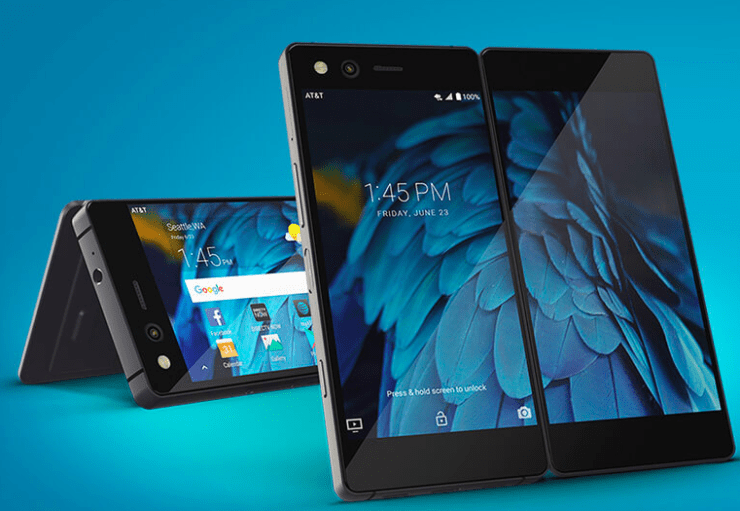 It was also reported that these designs will be so different from the AXON M model that it will be much more effective than it. At Huawei, it has been confirmed that their foldable smartphone will be launched early next year, and also also the prototype is out already. This is based on how early they are able to perfect their visual display. This was revealed by Yu Chengdong, Huawei’s Consumer Business VP during an interview with CNET. Start saving up, new phones are on the way!